The Sony FE 2.8/50 Macro sells for $498 at amazon.com and B&H photo (affiliate links). At amazon.de (affiliate link)it sells for 498 €. This lens was loaned to me from Sony Germany free of charge for three weeks. 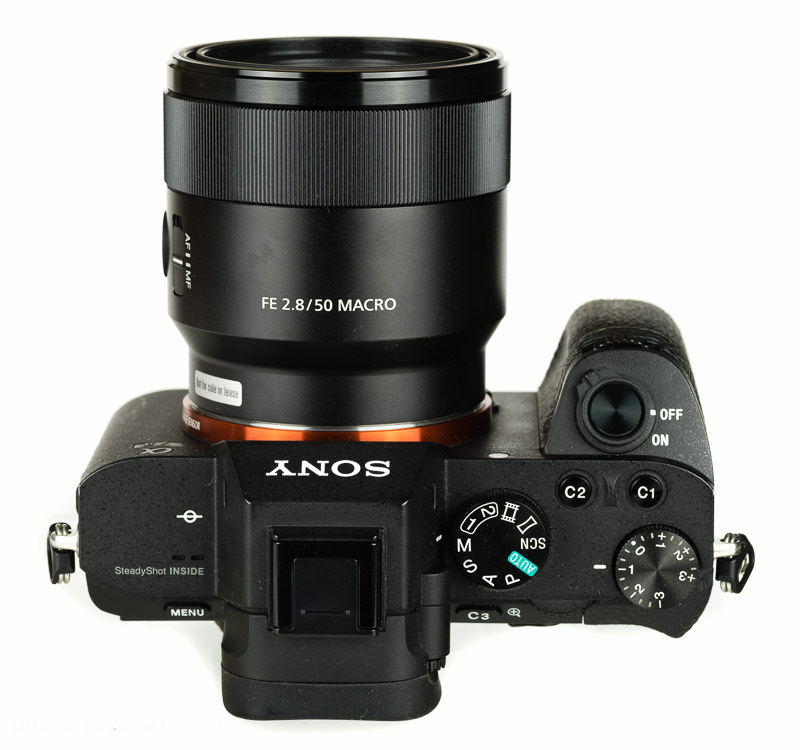 The Sony FE 2.8/50 Macro is comparable in build quality to the FE 2/28. The outer hull is made from metal, the inner tube is made from plastics and markings are not engraved. It feels nice enough, much better than a FE 1.8/50, but not as nice as a FE 1.8/55. The focusing ring travels around 35 degrees from 1m to infinity and a further 900 (!) degrees to the short focusing distance of 0.16m. So you have to turn it a lot to focus at the closest distance which is annoying but the upside is that you can focus it very precisely, even at longer distances which is often difficult with Macro lenses. The transmission does not depend on the speed with which you turn the focusing ring but is of course a focus by wire design. One nice feature is that even after restarting the camera the Sony FE 2.8/50 Macro returns to it’s last focus position. So all in all a good performance for a FE-lens but certainly not as nice as that of a proper manual lens. 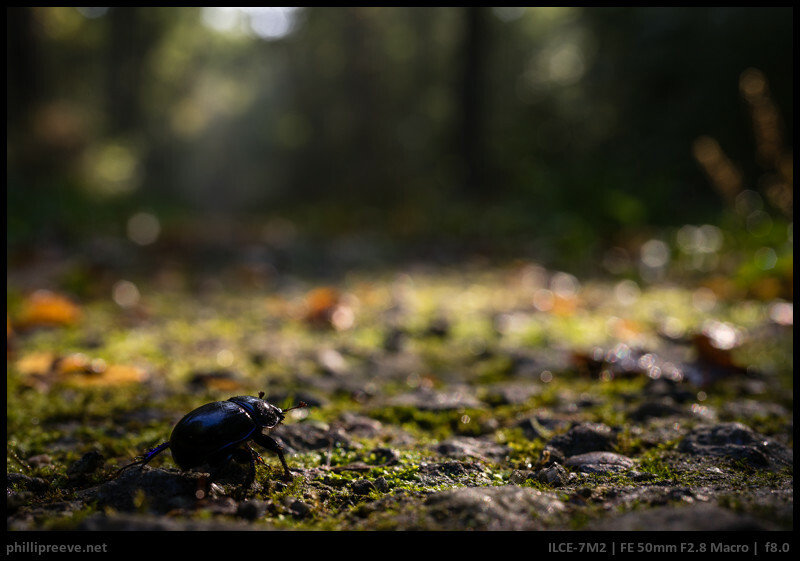 Well… the Sony FE 2.8/50 is a macro lens and those are usually quite slow to focus. The Sony is certainly no exception. 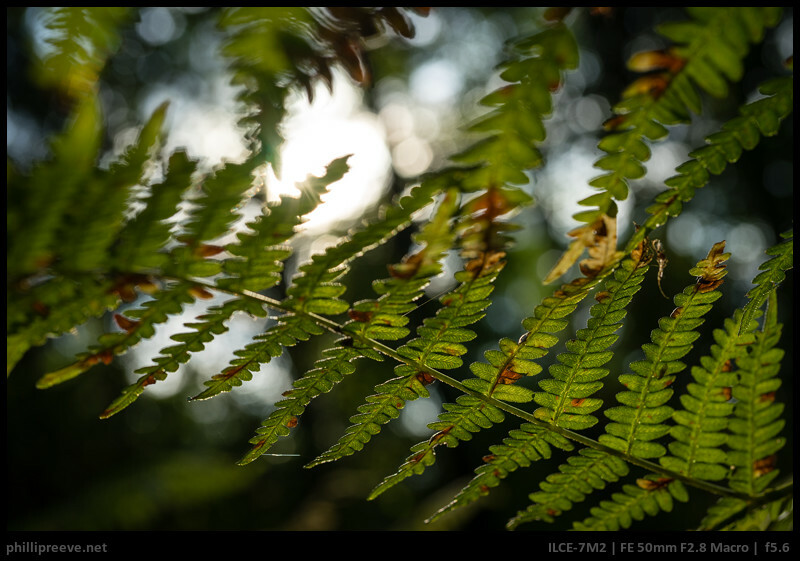 AF is much slower than with other FE lenses like the 1.8/55 or 2/28. While those are focusing more or less noiseless and make short focus changes nearly instantaneous, this macro makes some noise and takes it’s time. It is not as bad that I would call it useless, for most subjects it is good enough, but you can forget about shooting anything more dynamic with it. I also experienced some inconsistencies at longer distances. At shorter distances I noticed quite a bit of hunting and it can take several seconds before the AF finds it’s target. There is no hood but the front of the lens is deeply recessed so it is well protected from stray light and scratches so there is no need for one and you also don’t need to bother with a lens cap. The Sony FE 2.8/50 Macro is a small to medium sized lens and very light, you barely notice the weight on the camera or in the bag. I think this is a significant advantage over the competitor’s offerings. The flare resistance is very good. I had to try really hard to provoke any ghosting or contrast loss and then all I got was a very small green blob. Bokeh is quite smooth at f/2.8. Bokeh circles aren’t totally clean though. At longer distances bokeh gets a bit nervous. Stopped down the shape of the aperture blades is clearly visible because contrary to the Sony’s marketing department they aren’t rounded. Axial CA is well but certainly not perfectly corrected. 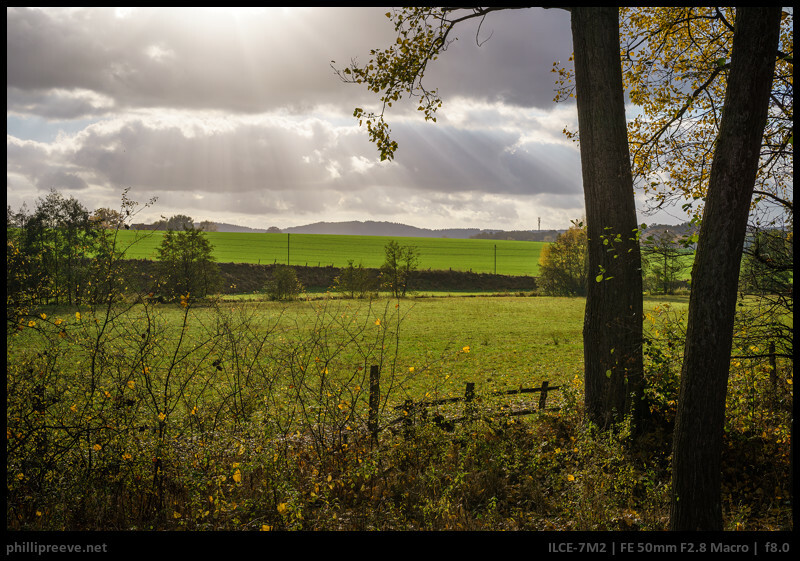 Vignetting is very strong at f/2.8 at nearly two stops. 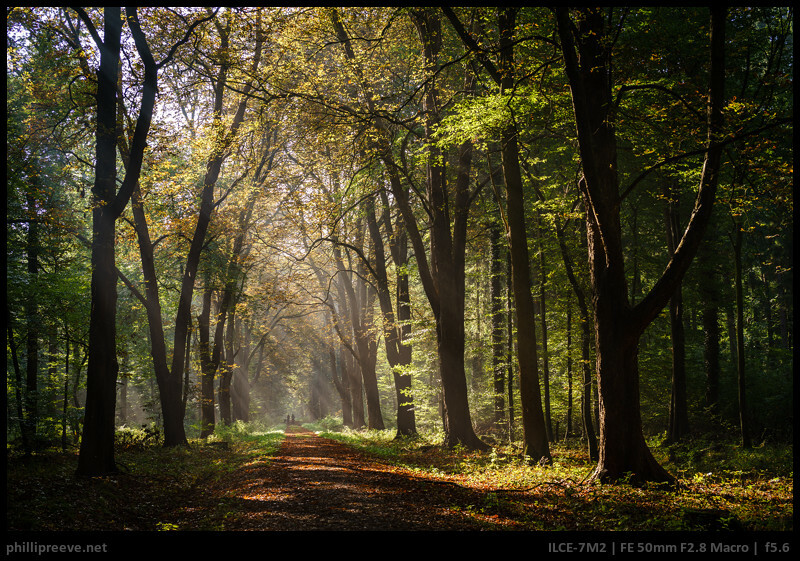 Stopping down to f/4 reduces vignetting to about a stop and at f/8 it remains at relatively high 0.7 stops. 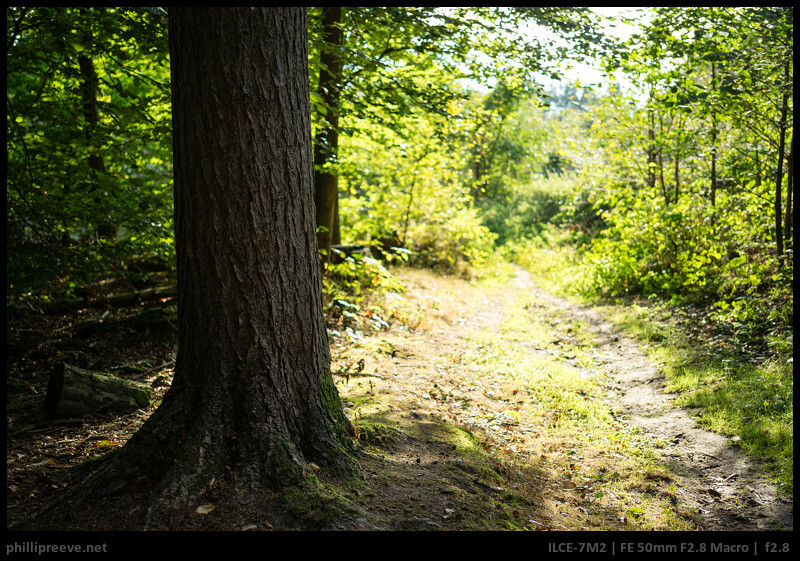 Adobe LR automatically corrects about 1 stop of vignetting at f/2.8. There is almost zero distortion. Click for my 1:1 sharpness test. The Sony FE 50mm 2.8 is excellent in the center from f/2.8 and sharpness drops to still good levels as you approach the corners. At f/5.6 it is very sharp across the frame. Remarkably performance at 1:1 is pretty similar to that at infinity. Most other macros don’t maintain such a level of sharpness at every distance. 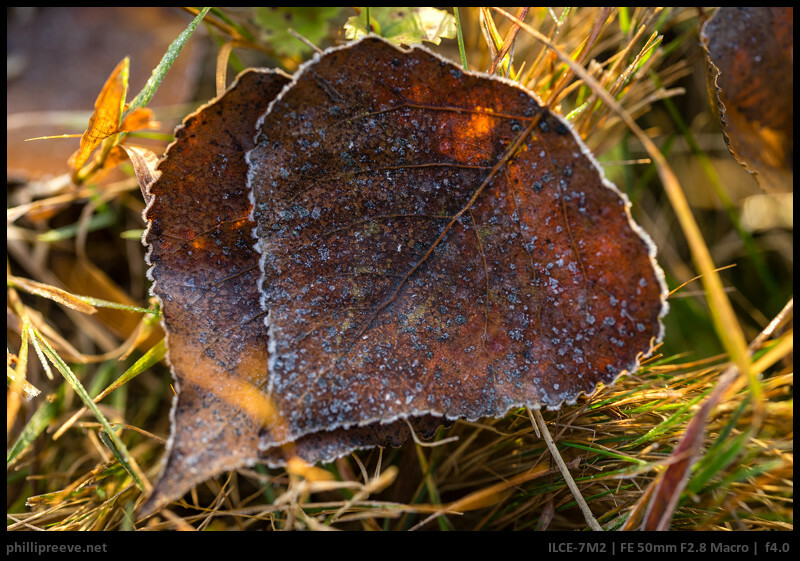 For Macro use the SEL50f28M has it’s strengths and weaknesses. Sharpness in the center is excellent even wide open at 1:1 so you don’t need to worry about that. One limitation are the more or less straight 7 aperture blades, they are detrimental to the image when you are stopped down to f/5.6 or f/8 which happens quite often for when you shoot macros. 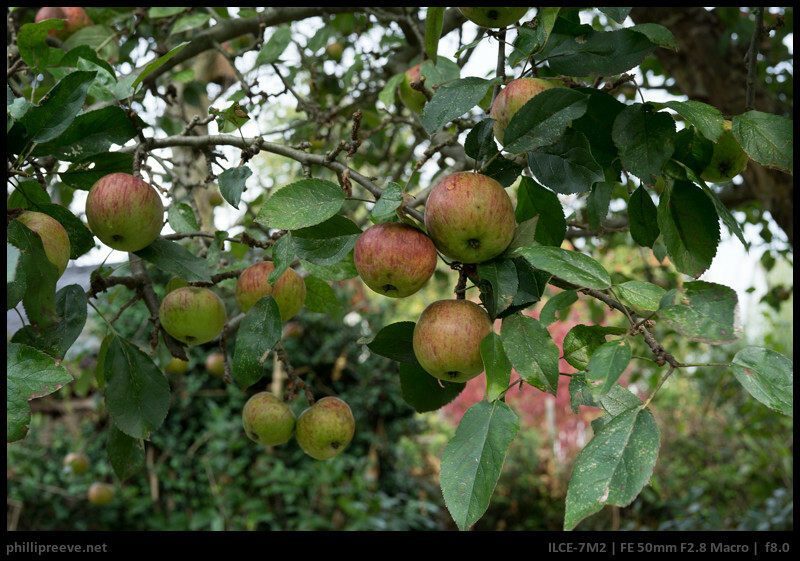 Another limitation is the very short working distance of just 45mm from the front of the lens at 1:1. For my use it wasn’t much of a limitation but other macro lenses give you quite a bit more working distance at 1:1 magnification so you won’t shade your subject and there is less of a chance of it flying away. Focusing the Sony Macro at 1:1 takes quite a bit of time because you need to turn the focusing ring twice but the upside of that is that you can focus very precisely. All in all it performed well as a macro lens for me but it certainly isn’t perfect. For portraits the Sony worked well enough, there is still quite a bit of blur and the bokeh is decent. Only the slow AF was a bit annoying. As a landscape lens the Sony FE 2.8/50 Macro performed really well. From f/5.6 it is very sharp across the frame, flare resistance is great and manual focus is among the best of all the FE lenses. 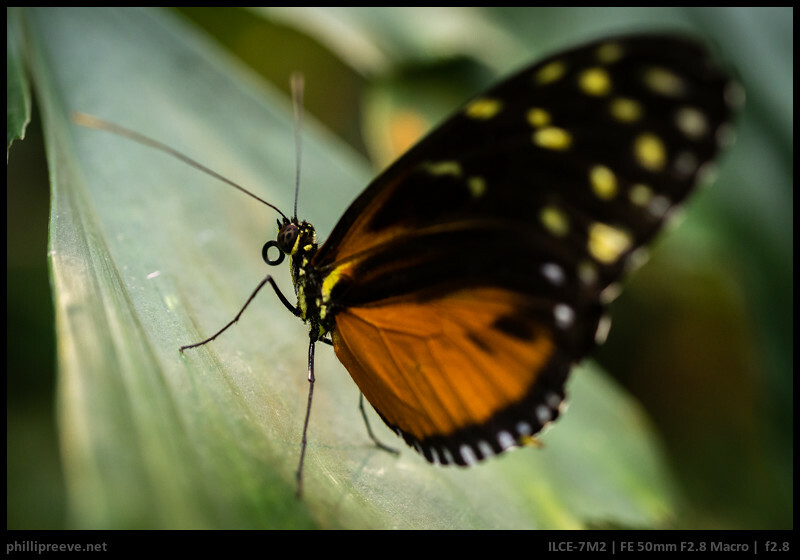 Sony FE 2.8/90 G Macro: Sony’s other macro lens is about about twice as expensive and you get a faster, basically noiseless AF drive and a bit nicer build quality. I liked manual focus on the FE50M better for longer distances and the FE90G better for shorter distances. Optically the FE90G is pretty similar as far as sharpness is concerned but it’s correction of axial CA is superior and it does have 9 proper aperture blades. The FE90G is much bulkier and more than twice as heavy. 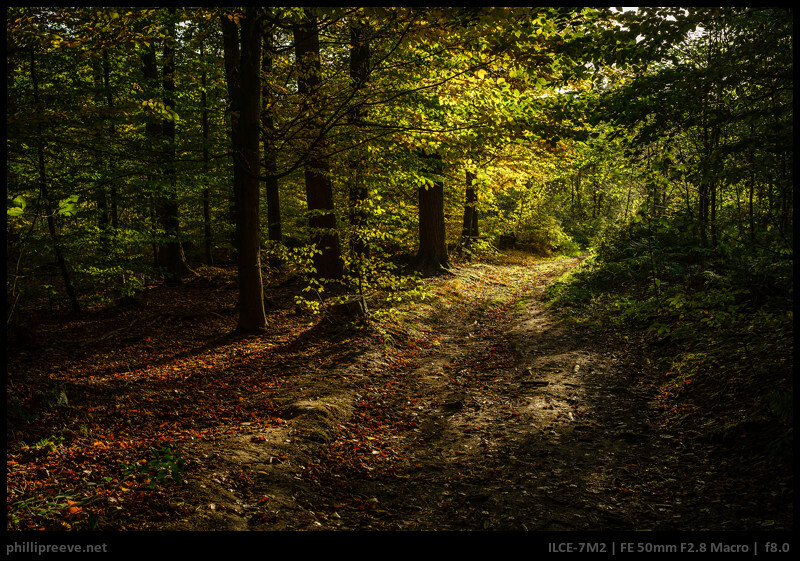 Both lenses are good solutions for a wide range of applications but the focal length is of course quite different. Tokina At-X 2.5/90: One of my favorite manual lenses. Super sharp, very nice bokeh, not too large and pleasant to handle. Only the coatings give it’s age away. Olympus OM 3.5/50 Macro: It costs 10% of the Sony and is built to much higher standards but it only focuses down to 1:2. Optically the Sony is superior in about any aspect, especially because the Olympus is clearly optimized for a reproduction ratio of about 1:10 but for most applications the actual difference will be rather small. With adapter it is about as long, thinner and a few grams heavier than the Sony. All in all the Sony is more versatile but the Olympus certainly offers better value. Sigma 2.8/50 Macro: One of the few manual macros which focus down to 1:1 without an extension ring. Optically it is as good or better than most manual 50m lenses but it isn’t built to the same standards. Since my copy broke I can’t couldn’t compare it to the Sony but I would extrapolate that the Sony is still a bit but not much better. The Sony FE 2.8/50 Macro has performed well in most of the challenges I put it trough, the optics are very solid. The Sony Macro is very lightweight and not too large. So it let’s you enjoy the size and weight advantage of your mirrorless camera over DSLRs. One trade off you have to live with is that the working distance between the front of the lens and your subject is very short. 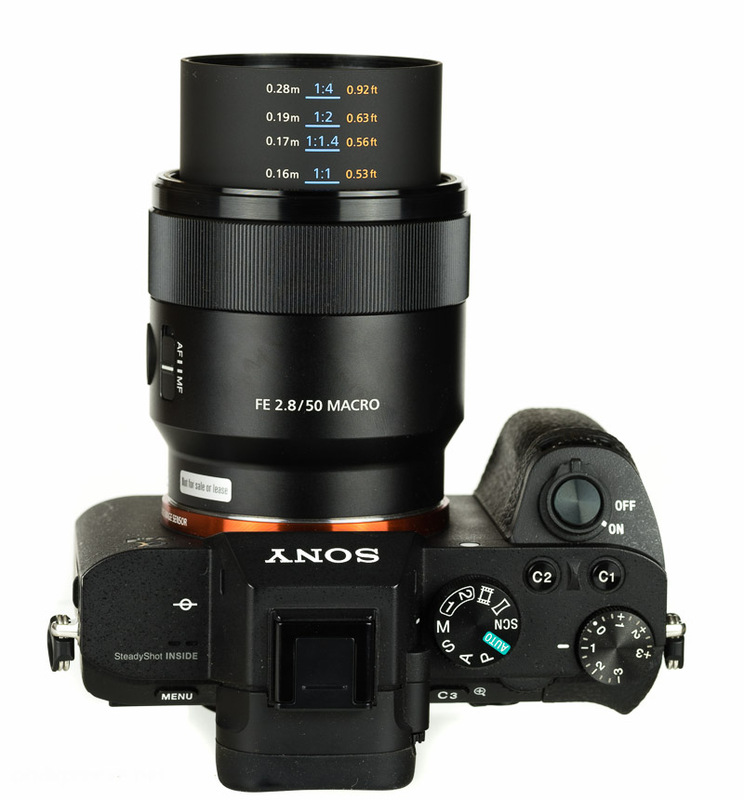 The only aspect which I don’t like so far is the AF, which simply isn’t on the same level as other FE lenses. In light of the otherwise great performance and because it is still good enough for most applications I am willing to put up with it. All in all the Sony FE 2.8/50 Macro is a very welcome addition to Sony’s lineup. 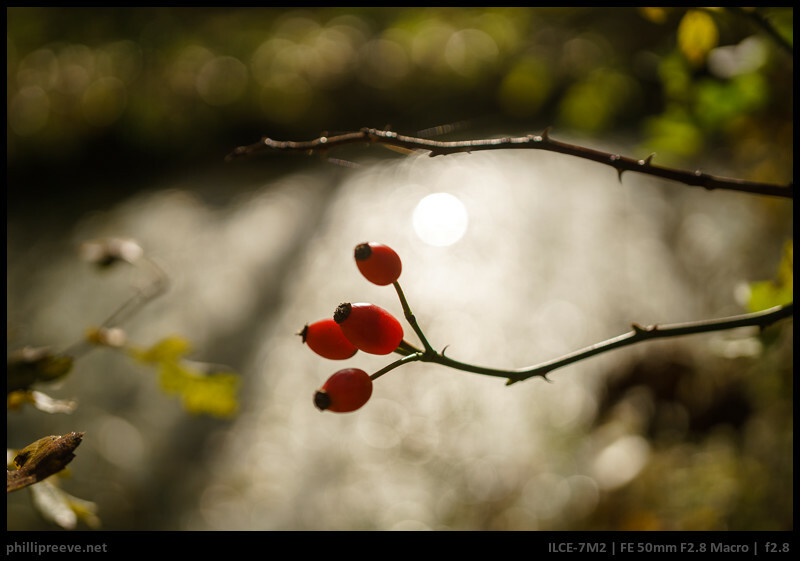 It’s optics are really solid: the Sony is very sharp, has pleasant bokeh, little CA and great flare resistance. Unlike some of Sony’s other offerings it does this without being large and heavy or super expensive. The only trade-offs are slow AF, straight aperture blades and very little distance between the lens and the subject at 1:1 magnification. I think it will find it’s way into the bags of many photographers. The Sony FE 2.8/50 Macro sells for $498 at amazon.com and B&H photo (affiliate link). At amazon.de (affiliate link)it sells for 498 €. The real issue with this lens, for me, is the partly internal focusing meaning that at 1:1 it’s actually shorter than 40mm. The focus at 1:1 places the subject 3.6cm from the lens rim, where the SAL 50mm f/2.8 macro for A-mount which has a simple focus extension allows 7cm clear space. This can be important when working with the lenses, to allow the best use of macro or ringflash lighting attached to the lens, avoid shadows of the camera falling in the picture area, or avoid disturbing live subjects. Of course it is very difficult to make an AF 50mm macro with an internal motor, without using this kind of focusing – a simple extension would be even slower in AF. But I don’t use AF for macro close to 1:1, I move the camera. It’s pity they can’t make a lens with uncompromised focal length and give it AF from 30cm to infinity but manual from 20cm (the 1;1 focus for a true 50mm) to 30cm. nice to see you over here :). I haven’t taken many images at 1:1 magnification so far but share your concern and will have a closer look at it. If everything works out I will photograph some butterflies this evening and see how much of an issue this behavior is for me but a longer distance would of course be better. How would you rate the SAL’s manual focus experience? 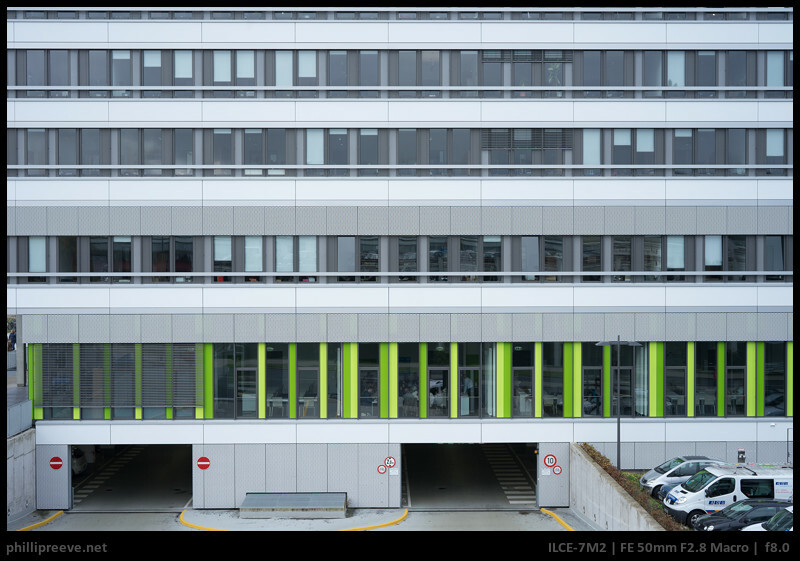 Stephan from artaphot.ch writes that it has a very steep transmission and a little play. Yes, the 50mm SAL is as precipitated as it always was and not made for manual focus – but I tend to set the magnification, then focus by camera/me movement. I have also used it AF on the LA-EA4 and A99. It’s not really any better than my 1968-ish 50mm f/4 SMC Takumar but the 1:1 is a benefit. 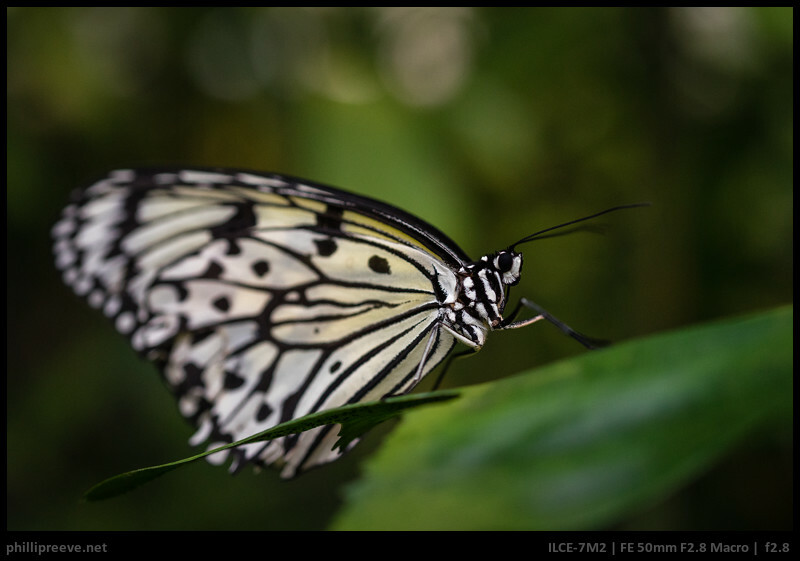 I also use the Sigma 70mm f/2.8 macro which is another screw-drive focus oldie, but gives better lens to subject distance, and is optically impeccable (it doesn’t even seem to have any moulded elements, so very pure bokeh). I have the 30mm SAM as well and that of course is ridiculous with 1:1 giving you the subject almost touching the lens! For very short distances focus by camera movement is certainly a good option. I wouldn’t see myself shooting a macro near 1:1 very often though so focus at longer distances is important to me. 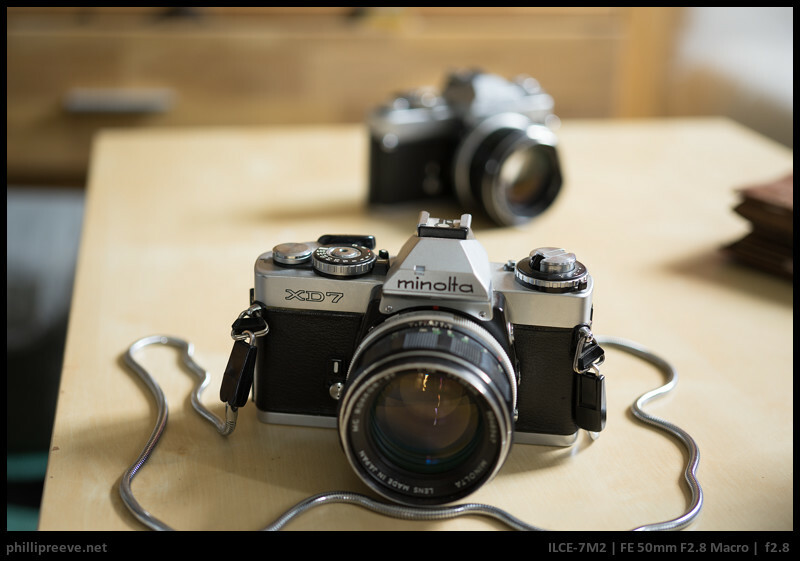 It is a shame about all those lovely Minolta’s trapped in the AF housings. 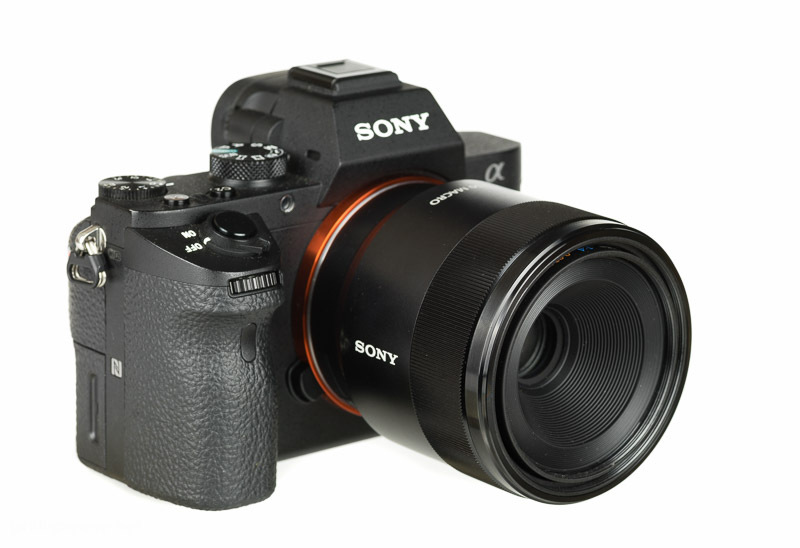 But who knows, maybe Sony is willing to put the sweet AF module of the a99II into an LA-EA6 adapter in the future. So far I have used a manual Sigma 2.8/50 Macro which I liked: Not too big, affordable, decent optics and native 1:1. Too bad my copy fell apart. Then I have a Minolta MC 3.5/50 but it’s performance isn’t good enough for me. Now I will give a very small Olympus OM 3.5/50 a chance. 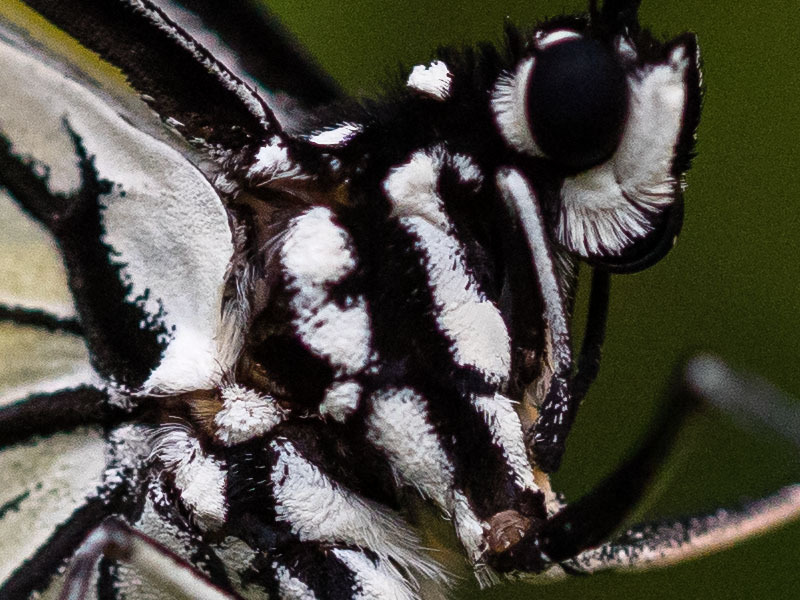 It seems to be quite difficult to find a good all purpose macro lens. If the Olympus disappoint the Leica-R 2.8/60 Macro would probably be my first Leica lens. My try at Photokina could give only a very short impression for this lens; no really picture quality testing was possible. AF seems to be not very speedy. I´m not shure, if the manual focus (what I prefere) is an alternative for using this lens. # What is your impression about this (I know focus by wire is not the same accuracy like manual focus lenses)? 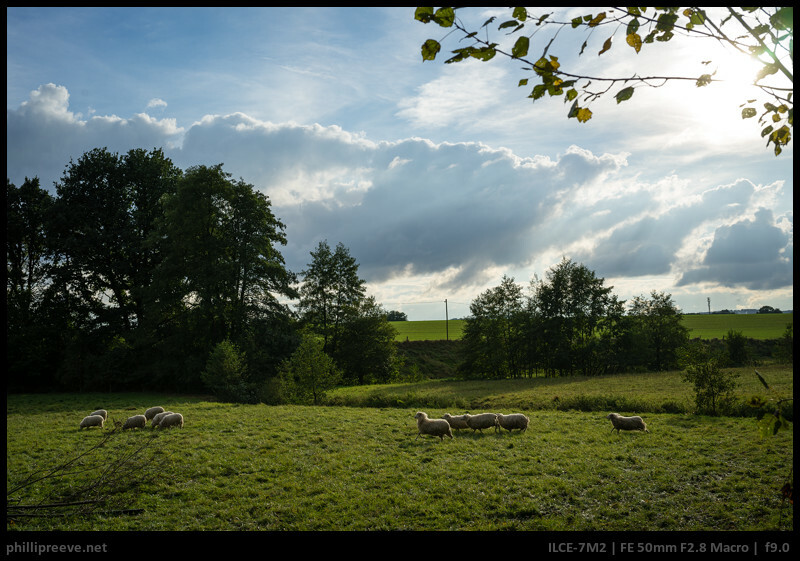 # If you compare the picture quality to the 50mm Loxia at aperture F=5.6 (= max sharpness; center + corners), what do you think? 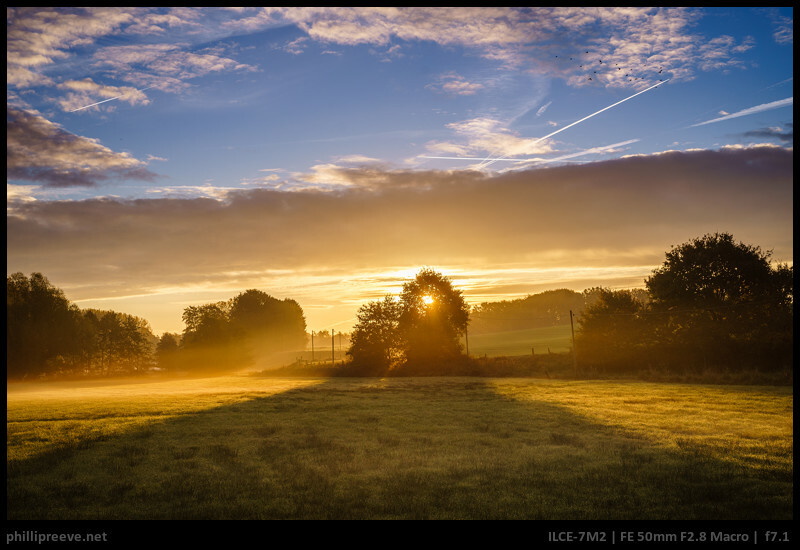 # Your picture examples of landscapes looks nice and it seems, the SEL50M28 is usefull for this genre also. If you campare this with your favourite 50mm lenses (I assume you prefere Minolta) what do you think? Myself I´m using Nikkor 50mm F1.4 Ai, which is not satisfaying under the aspect of sharpness (center and corners). Could this macro solve my wish for really sharp lens for landscape or do you prefere others like SEL55F18Z, because of higher sharpness (like shown in test reports)? 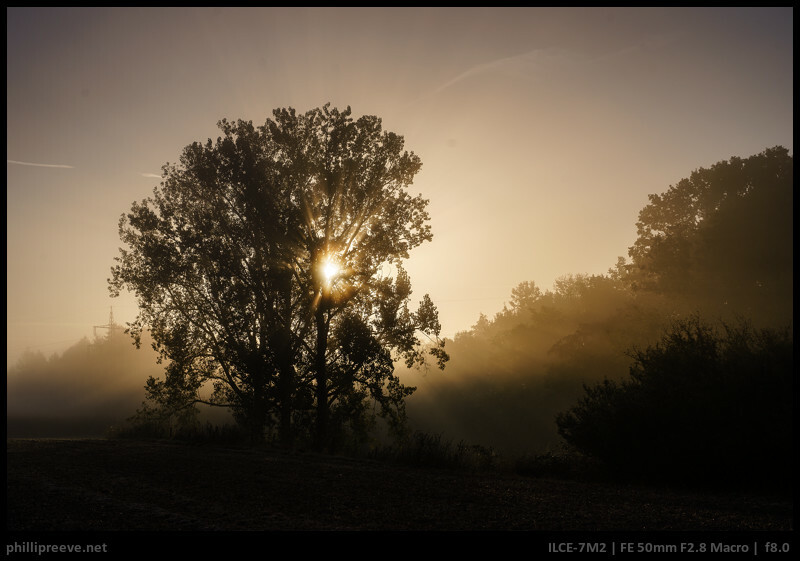 I´m using a Sony A7. 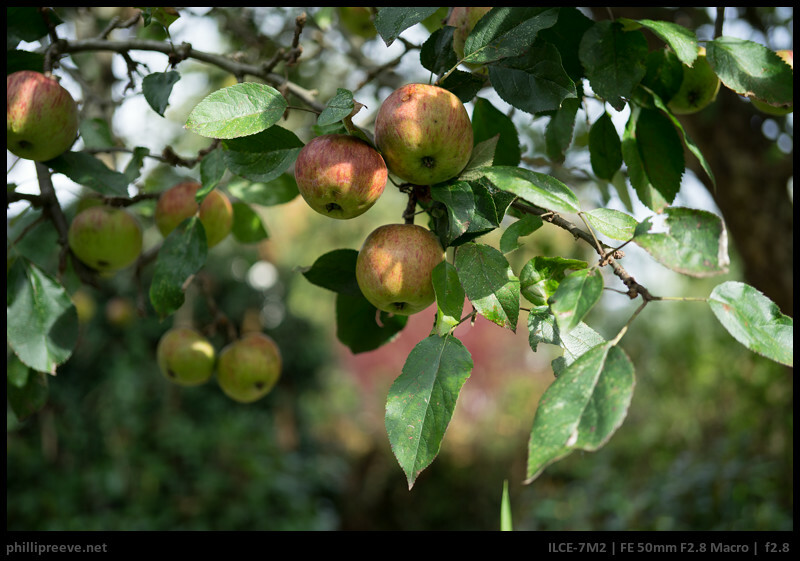 Almost any 50mm I have ever tried at f/5.6 or f/8 will perform great across the frame on 24 MP. I once compared a super cheap Minolta 1.7/55 and there was hardly any difference between it and the Sony FE 55 ZA. The situation might be different at 42MP though. The Sony Macro is no exception here. I think that also answers #3. Thanks for the review Philip and I totally agree with your assessment. I’ve been using this lens for a few weeks now and always seem to have it on my A7r2. Noise is a little annoying but the images are very very good indeed. I´m a little bit confused concerning your statement. I read your comparison 50mm Minolta vs. 55mm Sony Zeiss. 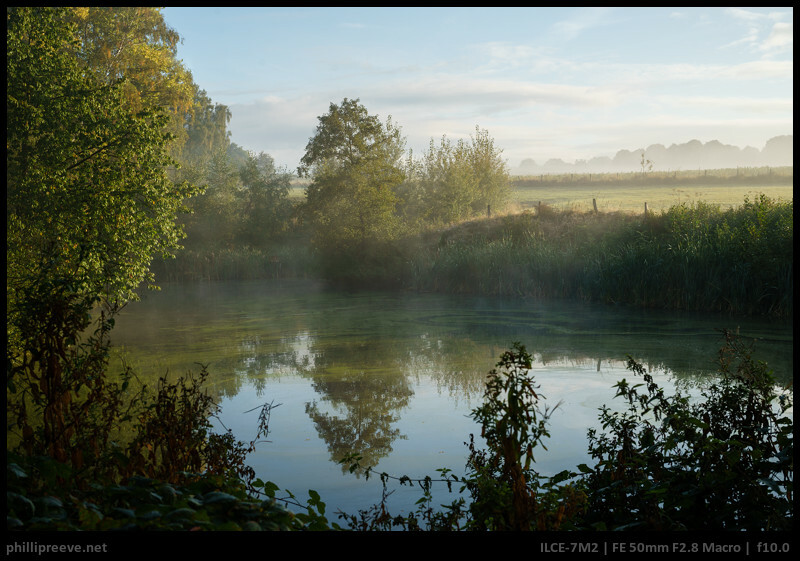 Also your how to do the RAW workflow (which is increasing not only contrasts). Because I couldn´t try until now a modern lens (and I don´t know how good todays sharpness is) with my conditions I can´t believe this is fact. All modern constructions like SEL50F18F, SEL50M28, SEL55F18Z and Zeiss Loxia 50/18 are not significantly better at aperture 5.6 or higher like my old Nikkor 50mm/F1.4 Ai where I see never really sharpness and good microcontrasts? I understand, if you show pictures with web size, it is hard to discriminate and probably no important difference. I´m talking about 100% view or bigger printings. My first question was concerning manual focussing. Do you think with SEL50M28 manual focus is a good/satisfying/acceptable option? I show 100% crops of images in that 55mm comparison and those didn’t receive the special handling I discuss earlier in that article. I have no first hand experience with any Nikon 50mm but I would be very surprised if it wasn’t an excellent performer at f/8. 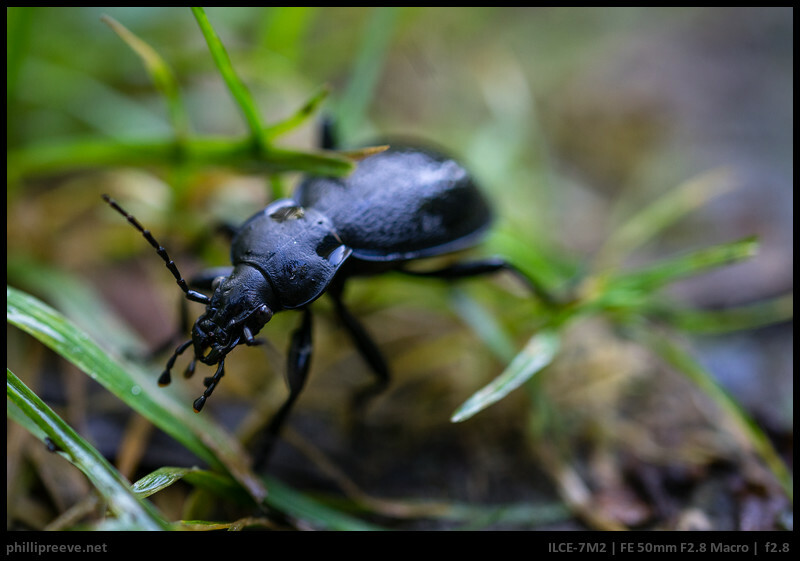 Manual focus with the Macro is an acceptable option, better than with most other Sony FE lenses. Maybe it’s my pauperesque status in life as a 64 year old pre-retiree, but I continue to be amazed at the cost of lenses, like this one. Five hundred bucks for a run of the mill macro is very difficult for me to justify. 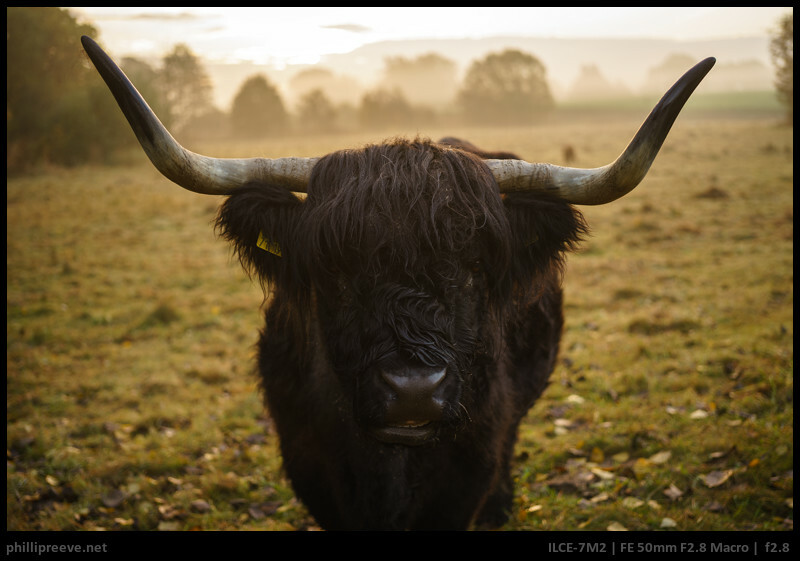 No great feature stands out – bokeh is ho-hum at best and maximum apertures are rarely exciting to use. This makes the case for so many vintage lenses that still have so much potential. The fact that some are being reproduced (at staggering prices!) is proof of the value these pieces still maintain. I’m glad you continue to review the older glass, Phillip – with the uncertain future of A-mount bodies I have amassed 28, 50, 50 macro, 100 macro, two 135 and 200 Takumars to fulfill macro and tele chores. Will probably wait to get new glass if/when I get into the E-mount bodies. Just got myself a Olympus Om 3.5/50 Macro and will test it against the Sony. Modern glass certainly does not offer the same value as most legacy lenses do but there are a few reasons why I like to use a modern lens occasionally. Are you planning to publish the results? Würde mich auch sehr freuen, einen Vergleich mit dem Olympus hier zu finden! Die Olympus Zuikos reizen mich sowieso, sollen ja ein paar echte Schätze darunter sein (Auto-Macro 2.0/ 50, Auto-W 2.0/28, Auto-T 2.0/100 und Auto-Macro 2.0/90). Ich gucke was sich machen lässt, zu sehr in die Tiefe wirds nicht gehen. Schärfe und Bokeh bei einem Motiv sollten aber kein Problem sein. I will do my best to create a short comparison of the Olympus Om 3.5/50 and the Sony. 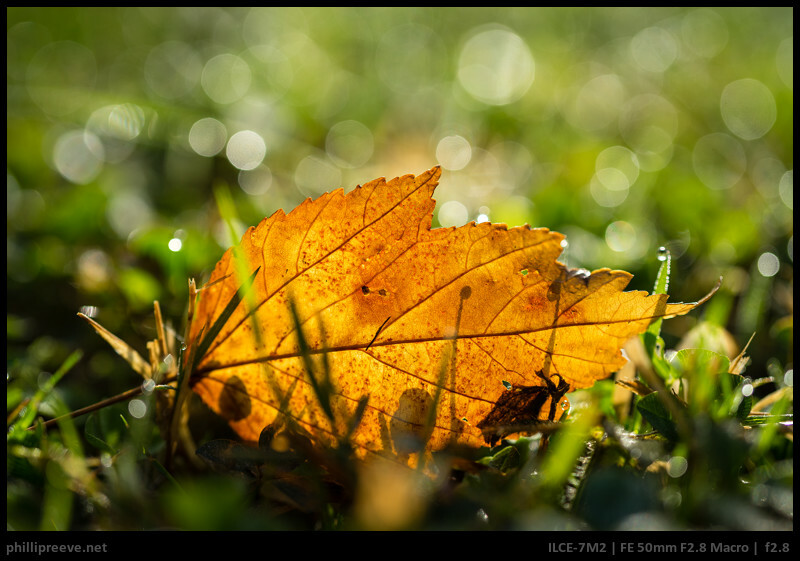 No in-depth comparison but the basics like bokeh, sharpness and flare resistance. Interesting. Yes the Zuiko 3.5/50 was according to the original data optimized for 1:10. I’ve certainly found it very flat at 1:1 with tubes. I bought a helicoid adapter for it, but never really use the helicoid now. So your sense is that the Sony is usefully better at 1:2, but they look pretty similar around 1:10, say? 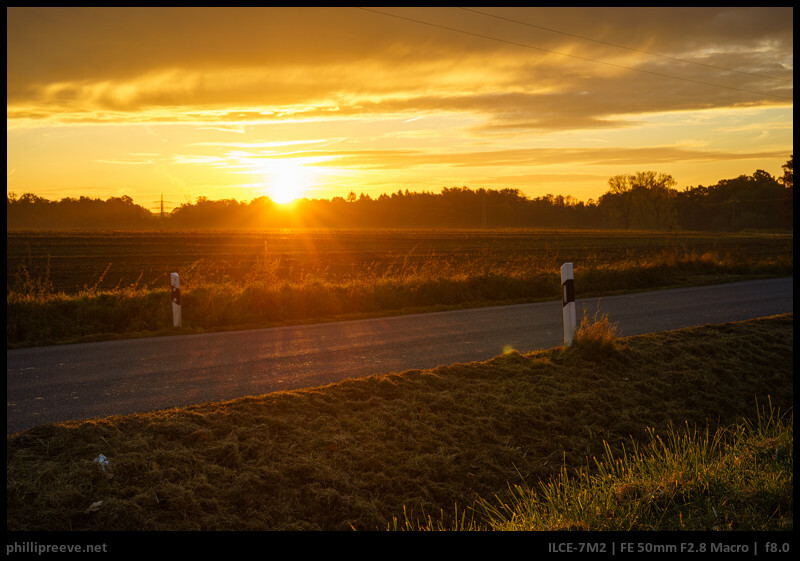 It is a night and day difference between 1:2 and 1:10 at f/3.5 for the Zuiko, the Sony is very sharp at any distance. OK! If the Sony at 1:2 is as good as the Zuiko at 1:10 then it is indeed the upgrade I want for short macro use. Firstly, thanks for review and some sample photos! Is there any detail review or comment regarding this macro capabilities? maybe for small things or bugs? I used to have 100mm when I used Canon and kinda miss the macro photography things. That’s why I consider this lens, because 90mm is too expensive for me right now. My body is a7. Oh, and I need to know whether I can use it on bugs or not so I will not have high expectation if is not possible. I kinda want a good prime lens, now I have 1635 and 55210, and I consider this lens. So which one is better? – manual lens + adapter? – or maybe other option? like 35mm? am okay with manual focus but I just hope with that price, I can get decent AF. How sharp is it? I tried to check some pictures and I got mix feeling on it. Sometimes it looks really sharp, sometimes not .. My friend test this lens and he said this lens feel sharper than his zeiss zoom lens ( I forgot the range ), but I dont have the pictures with me. reagarding #1: That’s the one aspect I haven’t covered in detail yet but I will do so in the coming days. Thanks for the answer! With that price, do you think this is worth the price or do you prefer other lens that maybe cheaper or more expensive one? In Europe it is quite a bit more expensive because of the weak Euro so I probably won’t buy my own copy too soon. If I lived in the US I would probably buy one. -When do You start to see based on Your opinion that the aperture blades aren’t rounded at normal distances. In close distances like macro (You have some good examples there) it seems like down to f5,6 works pretty ok, but when does it start to get “ugly”? -For example if You have a main objekt in 2 m distance and want to use lets say f 4 -5,6… it depends on the motif of course, but in general thoughts what is You opinion? I would say ugly starts at f/8, but f/5.6 can be a little annoying. I honestly think it is a very bad idea to chimp on the aperture blades of a macro lens. so I would have vastly preferd more rounded (and more) aperture blades here. Agree to Bastian! Don´t understand why they make a lens like this in 2016? Looking hard for a 50-60 mm macro lens that works down to 1:1 and is sharp from about 2,8 even in the edges and with rounded aperture blades for nice soft bokeh. 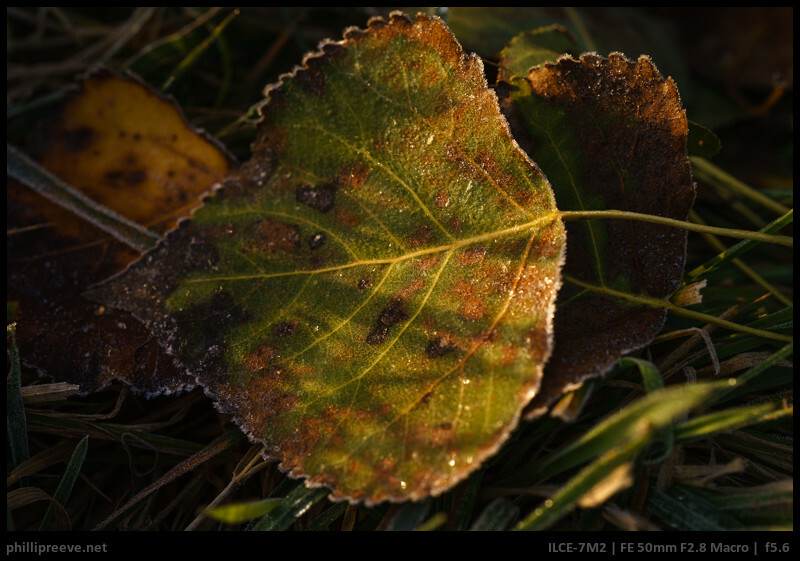 Today I am using a Canon 50 2,5 macro with soft edges until 5,6 and only 1:2…. anyone with ideas? Nikon G 2.8/60 is the only one that comes to mind. Zero personal experience with it though. An advise for MF lens (with same or better picture quality; mainly sharpness) also? Brilliant photos!.. i am amazed how good contrast is their in your photos, i tried this and 55/1.8 and the photos i took are very dull, may be there is some post processing steps i am missing, if you are using lightroom, any chance you could share the presets if possible, anyways thanks for the review! Nett wäre noch eine Gegenüberstellung, inwieweit sich die Einsatzmöglichkeiten mit dem Sigma 2,8/60 überschneiden, und welches Objektiv sich da besser schlägt. Ich habe zwar noch meine Nex-5n aber die verstaubt im Schrank und ich habe ansonsten keine APS-C Ausrüstung mehr, deshalb wäre eine solche Einordnung durch mich nicht besonders substantiell. 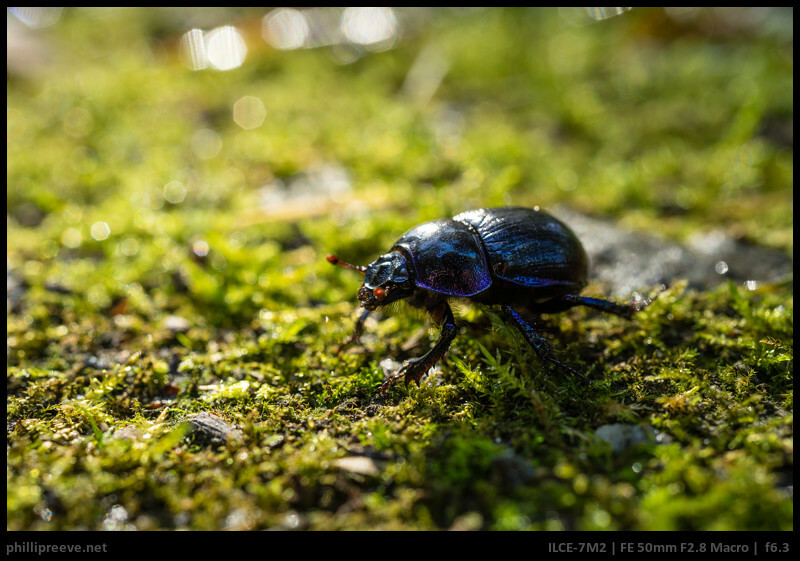 Das Sigma war als ich es vor 3 Jahren getestet habe das mit etwas Abstand schärfste Objektiv was ich je an der Nex hatte, das Sony Macro habe ich an APS-C nicht getestet, kann zur Schärfe also wenig sagen. Im Handling haben beide ihre Schwächen aber zu gravierend ist es bei keinem. Excellent review! 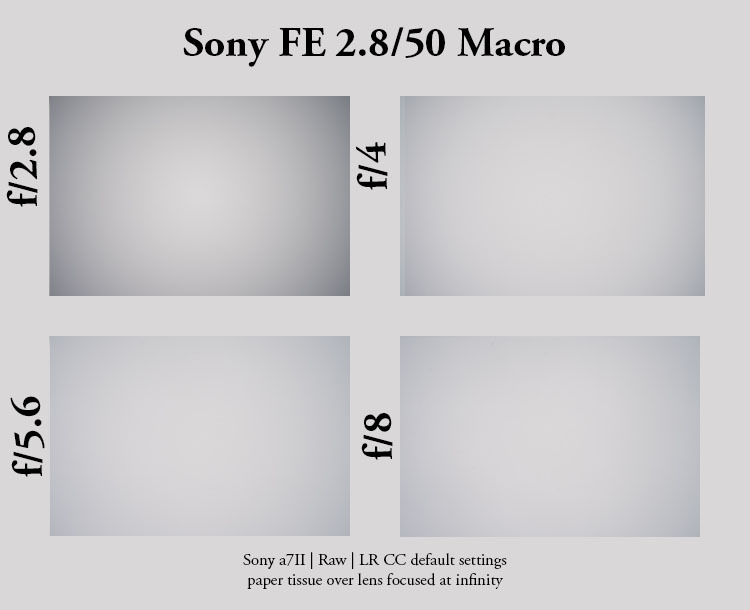 I was thinking about replacing my 50/3.5 FD with this, but at macro/near macro working lengths it doesn’t look there’s much in it between them (if anything, backgrounds look better with the fd at f5.6). I must admit that I was hoping for a baby version of my 90/2.8, but that was probably a bit optimistic at this price point! 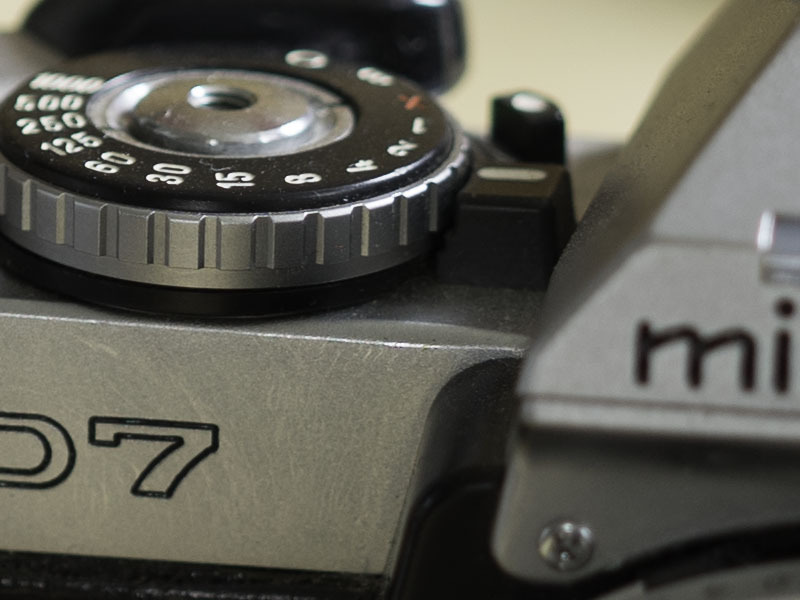 You might want to investigate the Vivitar 55mm F2.8 Macro. It’s another of those few manual focus legacy lenses that will do 1:1. Reportedly made by Komine. thanks for the tip. Will keep my eyes open. If the Vivitar “macro” 2.8/55 by Komine, is as good as my Vivitar “Close Focussing” (1:2) 2.8/135 (also by Komine), it should be very good…though the 135 only has single coatings. What is the working distance (approximately) when at 1:2 magnification? Is it good for small flowers so as to not cast a shadow on them? About 23cm. If that’s casting a shadow you have harsh front light you don’t want anyway! 23cm from the sensor or lens front? 23cm from the sensor. So practical working distance will be maybe six or seven cm less.. I currently have the Sony nifty-fifty 50mm 1.8 lens. But, I am wanting to get an affordable Macro lens with AF. 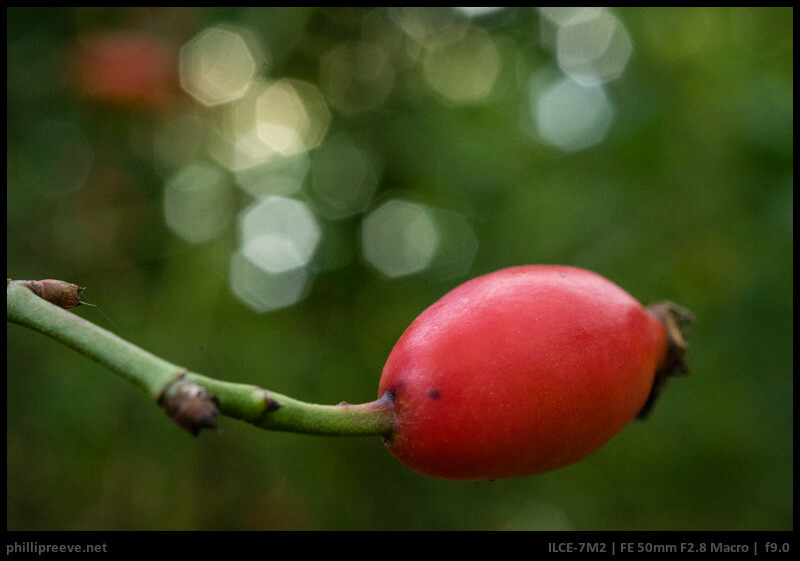 The Sony 50mm 2.8 Macro looks like my closest match. I’ve done a little research and watched YT reviews on it. And, I found out that it uses the old style DC motor like my current 50/1.8 (but irdk if it’s the same loudness, louder or quieter?). I realized that all macro lenses (in the $500 range) are using DC motors. So, I am still on the fence because of the noise (although.. I still really want a macro). Also, how does the focus speed compare to the 50/1.8, but while using Non-macro focal lengths? (like, for street/travel shooting… since I’d like to double up its’ uses for both macro work and also long distance street/travel). 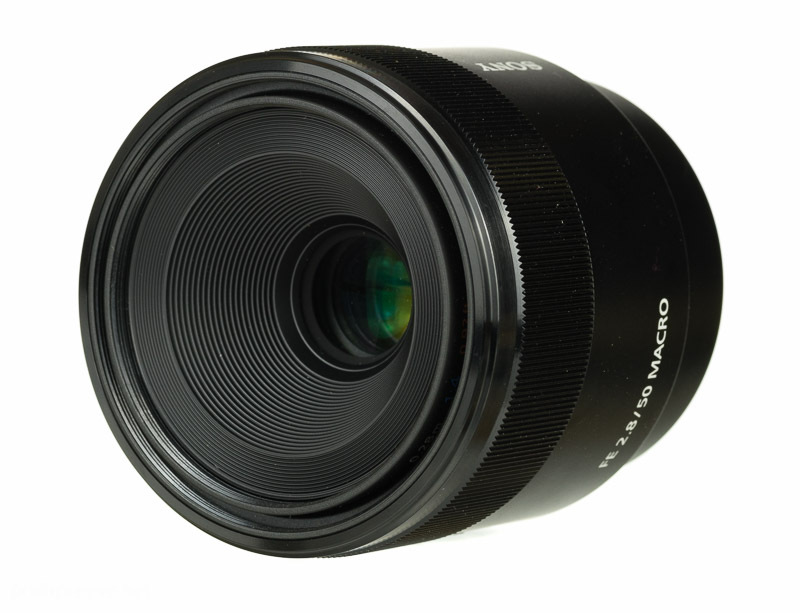 If I get this lens, it will essentially replace my current 50/1.8; so I am just trying to compare the 2 lenses …in how they compare in noise/loudness, and also focus speed in Normal focal lengths (I already know in Macro focal lengths, it’ll be very slow… like all macro lenses usually are). Btw.. I don’t want a 3rd party MF lens, nor can I afford the 90mm G. Also, I don’t want to own both the 50/1.8 & 50/Macro; only one of those lenses. I didn’t compare them side by side but my impression was that the AF drive was very similar. both in terms of speed and noise. Noise is really not loud or very annoying. Yeah… that makes sense because they’re both relatively new and were released around the same years..so maybe they both have the same technology and hardware for their DC systems. I’m wondering if this is a newer version, or if it is sort of false advertising. I know this review says it has, “sort of” rounded blades. Any clarification would be helpful. Thanks! How could I know without any samples? I would be very surprised if they improved the design in that aspect. Marketing departments say a lot of BS. Phillip, many thanks for your review of this lens. I have read many reviews of it and this was the best. I am trying to make a decision and wonder if you may have an answer to my question below. I take landscape and macro photos, mainly, using a Sony NEX-6 with a 35mm lens, a couple of zooms (16-50mm, 55-210mm) and extension tubes (10mm, 16mm). Portability is key and these all fit in an old army canvas gas mask bag. I want to get a macro lens without adding too much bulk. I am also thinking of upgrading to the Sony Alpha a6500. 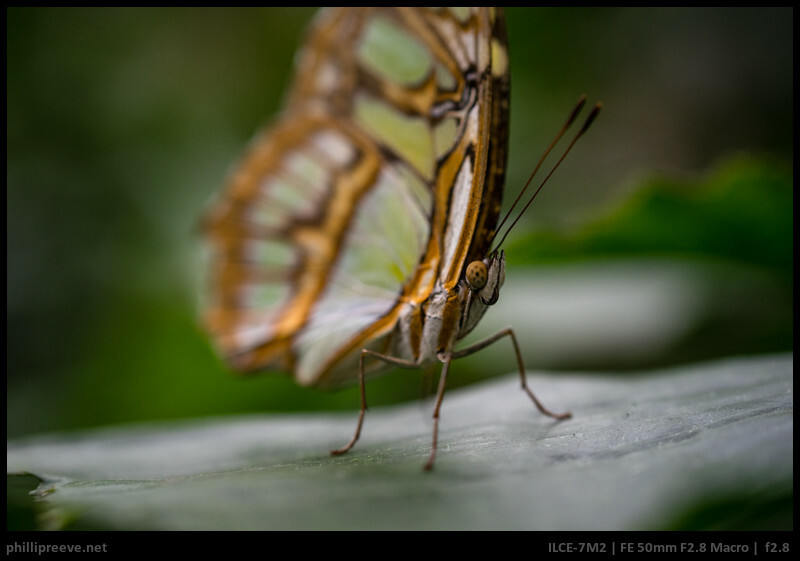 This lens (Sony 50mm f2.8 macro) looks like the best macro alternative for my purposes but has limitations you point out, mainly the short distance to the subject at 1:1. The Zeiss Tuit 50mm f2.8 is expensive ($1,000) and the Sony 90mm f2.8 macro is bulky (and expensive!). At this point I could switch to another line of (compact) mirrorless APC cameras with better macro lens alternatives. Is there such a line? Sorry for the very late reply: I think the only other serious APS-C line is Fujis and their 2.4/60 does only 1:2. Their 2.8/80 is much bigger.